Dubai Festival City (Arabic: دبي فستيفال سيتي‎) is a large residential, business and entertainment development in the city of Dubai, United Arab Emirates. Touted as a "city-within-a-city", Dubai Festival City is the Middle East's largest mixed-use development: all elements for work, living, and leisure will be contained within the project. Festival City comprises a series of residential communities, hotels, mall, a golf course and other entertainment sites, and a full suite of public services, including schools. 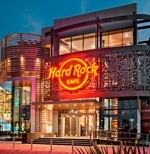 Out and About in Dubai Festival City?